PDF is the most popular file format used by personal and business users as the standard file format for document storage, sharing, and publishing. But there is no doubt that most people have faced a whole lot of problems editing PDF documents before. I have seen a lot of PDF editors, tried many of them and have come to the conclusion that most of them are just a waste of time. Here I’d like to share a right tool named PDFelement 6. It is not only the exception of the expensive Acrobat but helps make up many weakness of other PDF editors. 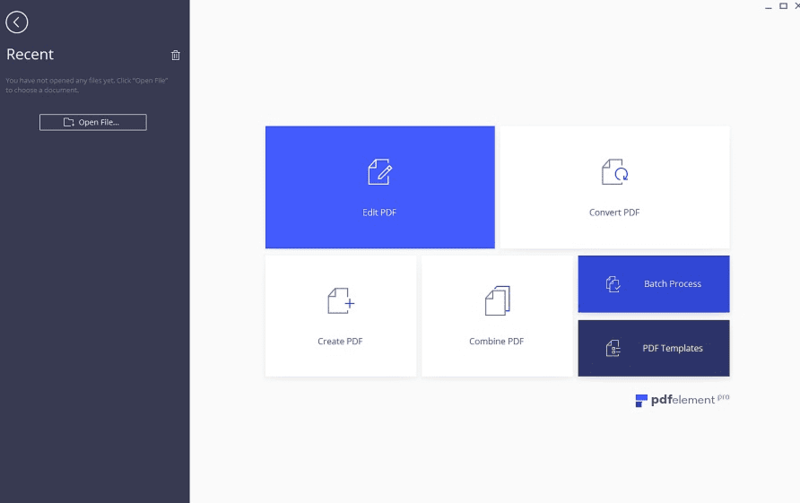 PDFelement 6 is a form of PDF system that allows you to organize, and protect your files. The software has a competitive price with great features and excellent performance. It is top management software for most cooperation. The system gives you control over your document and a lot of transformation options. They introduce a technology that allows you edit your documents without altering the formatting of such documents. The navigation is just super easy for anyone using the software. They offer a streamlined design, and a variety of top-notch features, special recognition, and data extraction. This allows you to create a beautiful form in one click, from their various readymade templates. PDFelement text editor allows paragraphing that match different font sizes and style. This software also allows you to import data in all formats. PDFelement offers an excellent protection of 256-bit AES password encryption that lets users protect the document and give access to the team member. The various features that make this software excellent are listed below. These features will enable you to modify a text and text. This software allows you to merge files of different file format into a PDF or split a single PDF into various files. The software allows you to Compress PDF files without altering the quality of the files. You can highlight and add a text to every page of the document you are editing. The software allows you to crop page to your taste, delete and format to your style. And extract PDF to create another one. You can bookmark and add a hyperlink to your document. You can also spell check your documents for any form of error. The software allows you to add watermark and footer and headers to your documents. The software gives you full control over the document you are editing. 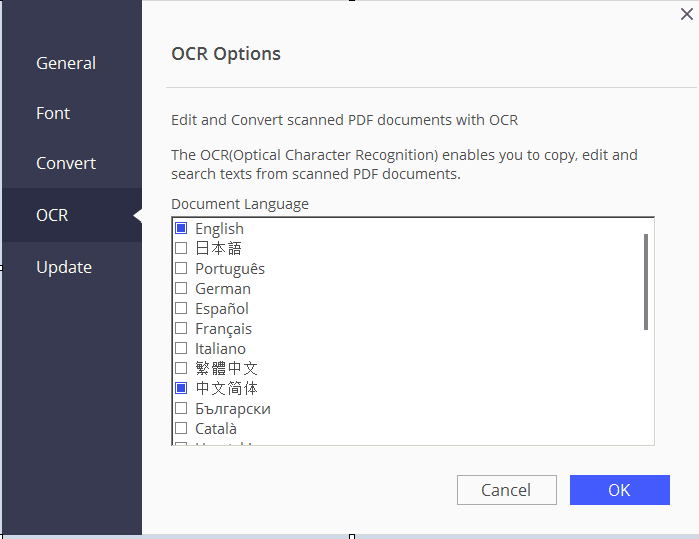 You can scan your document using the OCR to allow the text to come out in different languages. The OCR is up to support 25 languages. You have a spell-check to check all typo and grammatical errors from your report. The PDF element makes a breakthrough by allowing you to convert almost 300 file formats into a pdf file. 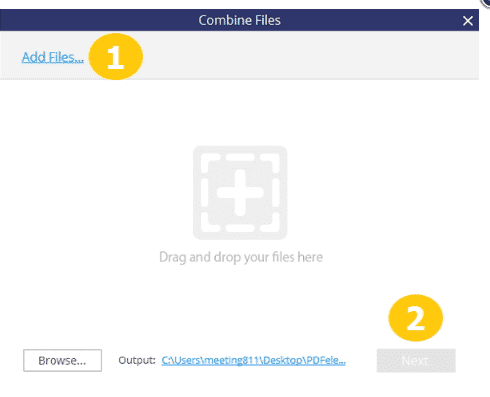 To makes it even more impressive, it allows you to merge files regardless of their sizes. You can remove all forms of data from the document you are editing. Different text can also be divided into many formats and then extract them into a particular folder. This software helps businesses to eliminate much paperwork and convert their files into PDF. All the data companies have in Excel or Microsoft Word and others format files can be transformed into PDF in on click. You will even be allowed to choose the template you desire. The new technology of the software allows it to extract sensitive data and export it for easy use. All your invoice and receipt can be done in these formats. The software allows you to edit the file without altering it. You can choose the style and paragraph you want. They have a spellchecker to run through all grammatical errors and typo errors on the files. Moreover, there is easy to edit just like your work with Word file. This is one of the most secure file management file software that prevents others from having access to your records. The encryption makes sure that you and the people you want can access your documents. What Problems Will PDFelement 6 Help a Company Solve? The organization uses PDFelement to encrypt PDF data that belongs to a client. The Optical Character Recognition (OCR) feature, can allow you to snap and process an invoice or check to PDF in no time. Pricing Plan of PDFelement 6? The standard plan will allow you to create PDF Files. 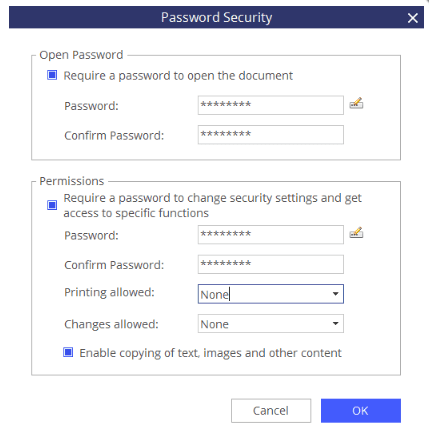 Secure and Sign PDF Files. Add Watermarks, Backgrounds, Headers, and Footers. Access to Hundreds of PDF Templates. PDFelement6’s can be downloaded from their website. The Setup is not an as heavy as the other types of software’s that are so heavy. The install was installed in a matter of seconds. The software has a user-friendly interface compared to other versions. They have bigger buttons. Please feel free to try free the Windows and Mac version. PDFelement 6 is now integrated with a high optical character technology. They have a user-friendly interface and very easy to use. The software now allows you to convert files from various formats into PDF formats, which makes it an excellent option for all enterprises.